For the audio book, click here. Every day, people innocently acquire ordinary personal and household items that secretly come with spirit attachments, demonic forces, residues of the dead, and curses. They are shocked when the haunted objects create a paranormal nightmare. For decades, John Zaffis, star of Haunted Collector on SyFy, has helped victims of terrifying spirit invasions that began with dolls, toys, clothing, games, art, antiques, furniture, jewelry, and musical instruments. His Museum of the Paranormal houses the strangest collection of haunted items on the planet. 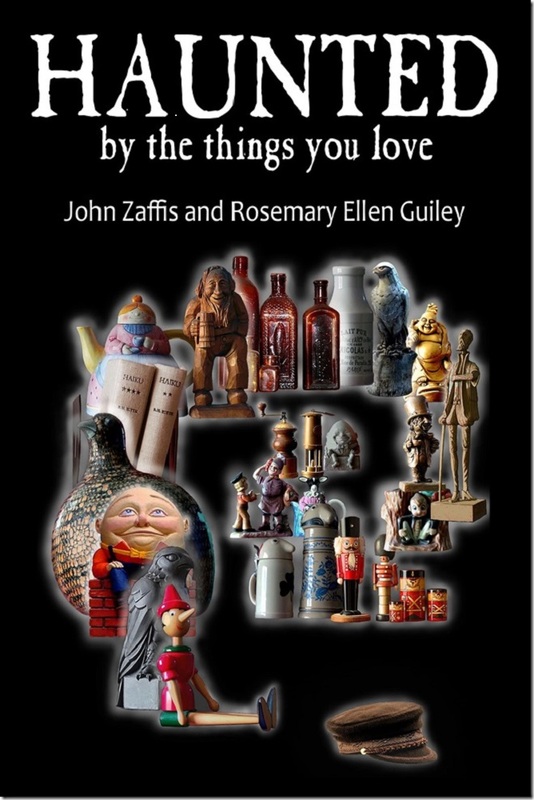 In these pages, John Zaffis and Rosemary Ellen Guiley, the two biggest names in paranormal expertise, examine John’s most frightening cases of haunted objects. These stories will make you think twice about every single item you own.